I have not tested this on a real Android phone, so I am not sure if this will 100% work. Anyway give it a try and let me know. Next you need to have Android SDK installed on your box. Connect your phone to the box . I guess that should do it. 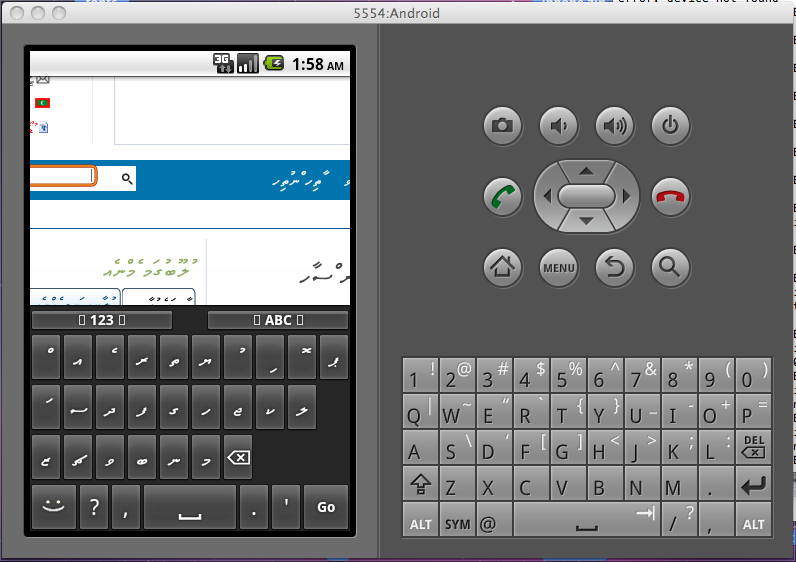 If all went ok; I guess you should be able to browse thaana websites (unicode; don't think www.haveeru.com.mv will work). 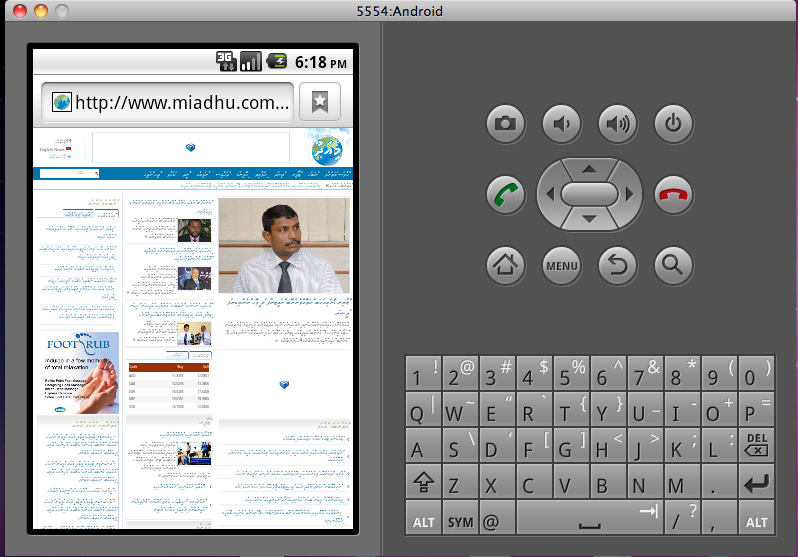 I've tested this on the Android simulator and works fine on Android 2.2. When I started off this I realized it might not be a good idea to directly convert from the QWERTY keyboard layout (conventional keyboard) to Thaana soft keyboard for mobile devices. The user experience might /will not be very good. We need to do some research into the best keyboard layout method to be used on mobile devices. This is important as soon more people will be using mobile devices (like phones and other mobile computing devices) for daily work and entertainment. This is something that needs to be debated and agreed on before any layout is implemented. HELP is NEEDED here. We won't get much time to improve on the features, so we hope developers who are interested will contribute. 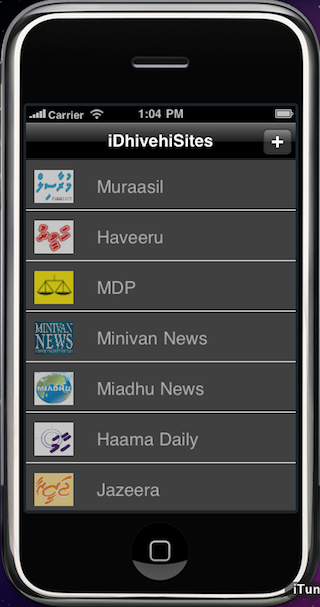 Jinah has implemented twitter share and made changes to the UI, so it looks simpler. 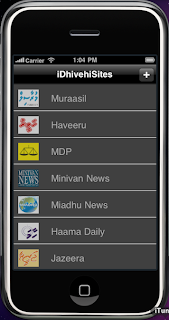 We had a problem with the font rendering for www.haveeru.com.mv which also is fixed now (but we do hope haveeru will soon move to unicode).